These Top Fall Decor Tips are brought to you by my partnership with Oriental Trading. I did receive products in exchange for these projects. Decorating for fall is supposed to be fun and exhilarating, but if you don’t have the right tips it can be hard. I wanted to talk about a few fall decorating tips that will make your life a whole lot easier. You don’t need to go out and buy a ton of things for “fall” decorating. Instead, you can use warm colors to get the decorating done. Warm colors usually consist of browns, reds, and dark oranges. I love this idea because you can go to any thrift store and find these fall decorating pieces. If you’re looking for a serious way to dress up your home for fall, then consider the idea of flowers. Flowers can turn any room into a fall oasis. All you need is a vase and then you can fill it with real or fake flowers. Switch it up often to give it that “fresh” feel every week or so. Decorating for fall doesn’t need to be overwhelming. Instead, make it simple. You can make it simple by making small changes in your home décor. Try adding a new fallish looking picture or creating your own artwork from leaves, pinecones, and even sticks you find outside. One of my favorite ways to decorate for fall is with an easy homemade fall banner. You can use orange triangles to create a fun fall banner for your living room space. Simply add a favorite saying like “welcome fall” or “we’re glad you’re here autumn.” You can get as cutesy as you’d like! One of my family’s favorite ways to decorate for fall is with painted pumpkins. We make this a family affair and it makes for a very fun fall evening. The kids will love picking out their own pumpkin and also painting it to their liking. Mom and dad can help but for the most part, painting a pumpkin is something they can do on their own. -Crafts are the perfect fall decorator. 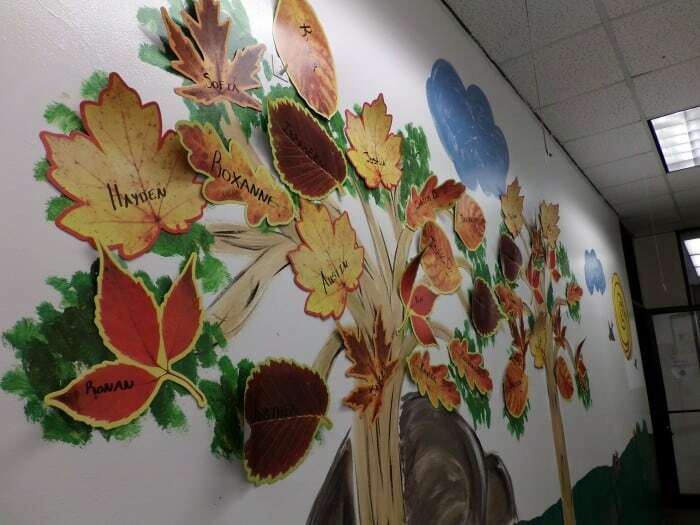 -Huge leaves are perfect for writing the kids names. 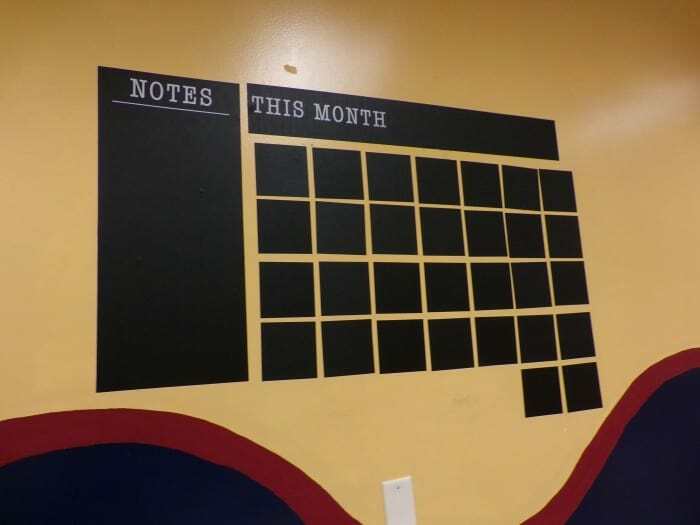 -Our monthly chalkboard calendar helps keep our fall activities organized. My one stop shop for all of my fall home and classroom decorations come from one place and that’s Oriental Trading. Actually, everything I got for my classroom and this time of year is from Oriental Trading. Being on a budget and needing a lot of items to supply my new classroom, they meet all of my needs. The kids love the extra additions to the classroom. I have to say fall is one of my favorite times of the year and my home and classroom reflect that. Have you shopped from Oriental Trading before? What is your favorite thing or theme they sale? What is your favorite fall decor item/theme? I love these. I love how simple it is to get everything decorated. 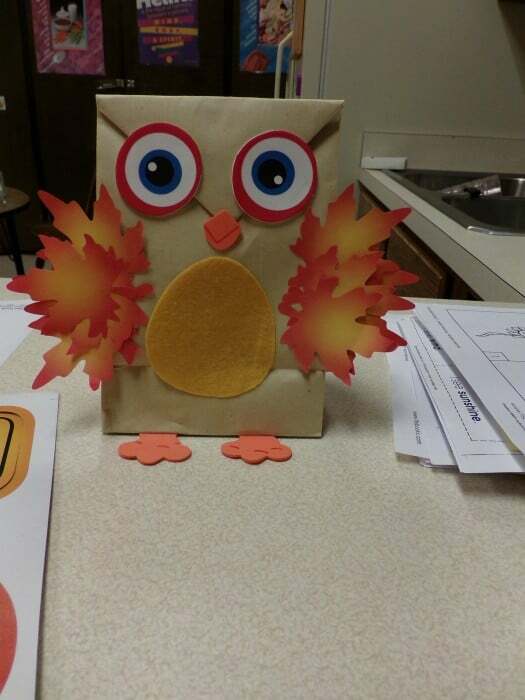 The owl is adorable! I love Oriental Trading they have so many fun things. Back when I had some free time I used to go virtual shopping there and put together fun themed parties and gift baskets. I’ve never ordered from Oriental Trading Company but I’ve always wanted to! 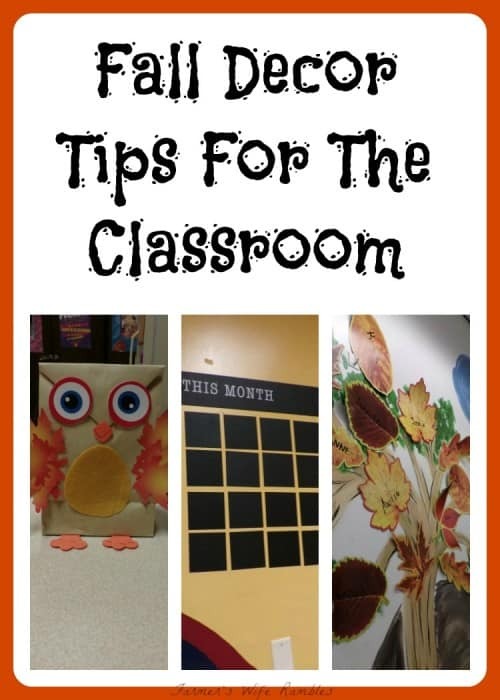 I moved into a new classroom this year and would love to add some fun items to decorate it. I love the owls! They are so cute. We love to use pumpkins, and homemade banners to decorate for fall. Your classroom looks really nice.